Your opinion matters. Leave A Review Or Edit This Listing for Masbia Soup Kitchen. Masbia is a network of community supported kitchens where clients can eat for free. 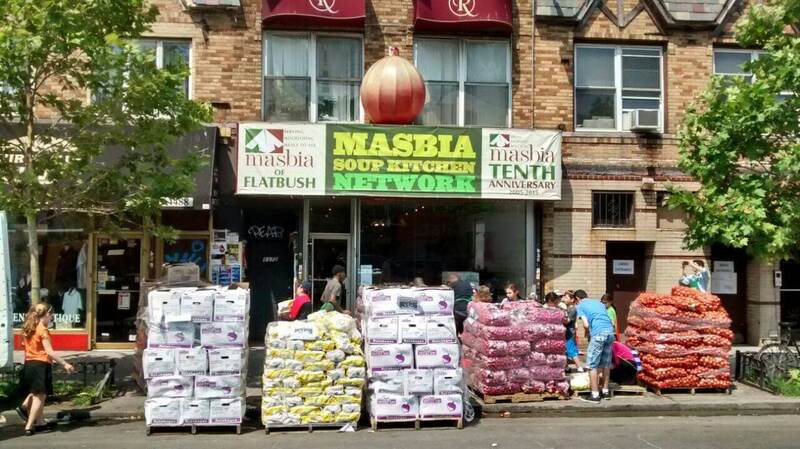 Masbia also operates a free food pantry. Masbia is opened for dinner service from 3:00 pm until 7:30 pm Sundays - Thursdays. In addition to meal service, we also distribute pantry packages for the weekend on Friday mornings. **Please note that the last person served will be at 7:30 pm so please come before closing time if you want a meal. The menu varies on a day to day basis but all meals consist of bread, soup, protein, vegetable, grain, dessert, and a beverage. We want to provide nutritious and balanced meals that are tasty and freshly prepared. We always need more information on our pantries. If you know of any details, volunteer information, website, hours or more description information about Masbia Soup Kitchen please add a comment (below the map on this page), with information. We will then display this for all visitors on this page.